Finally i made ladoo 🙂 I was so happy after seeing the outcome. The touch of badam milk powder made it more delicious and healthy. You can also use powdered sugar instead of jaggery. Dry roast the ragi flour till nice aroma comes and remove from the heat. Heat 1/2 tbsp ghee in kadhai and fry the grated coconut. Fry till it turns golden brown and remove from the heat. Mix ragi flour and fried coconut. Add 1/4th cup water to the same kadhai and mix grated jaggery. Cook till it reaches two-string consistency. Mix ragi flour, fried coconut and badam milk powder to it. Stir it frequently. Add 1 tbsp ghee to it and stir well for 2 mins. Remove from the heat and stir till it reaches lukewarm state. Make small balls with wet hands. Serve it or keep in an air-tight container. Badam milk powder is optional. 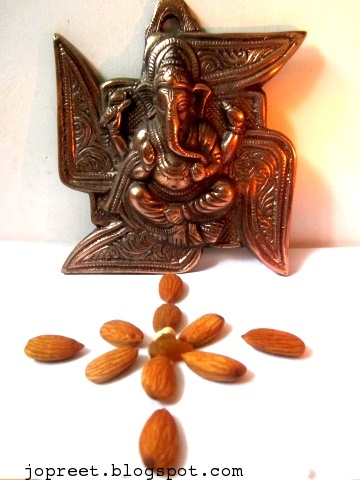 You can use either finely chopped almonds, cashews or pista. The above mentioned proportion makes 15 ladoos. You can increase the amount of ragi flour according to your need. Nice ladoos. Thought I am not sure I want to combine the ragi with the chocolate. Both the flavours are so different and i like them just as they are. But then chocolate combines with most things so I guess if I try one of these I may just change my mind. Delicious..I love anything with Ragi and I'm sure this is gonna be my favourite. 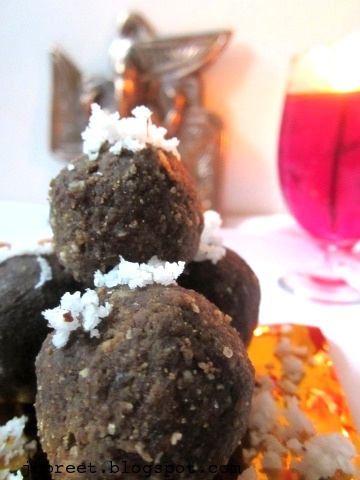 Healthy and delicious laddoo dear…..
wonderful combination of coconut and ragi… healthy and delicious.. 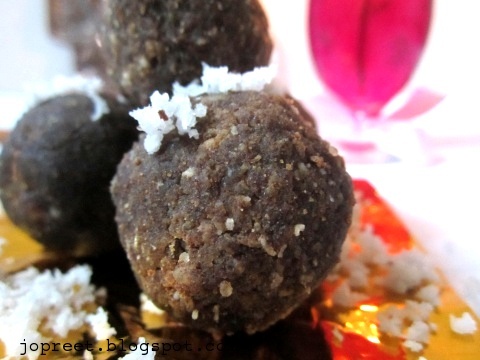 Delicious and lovely looking ladoos.Simply droolworthy. 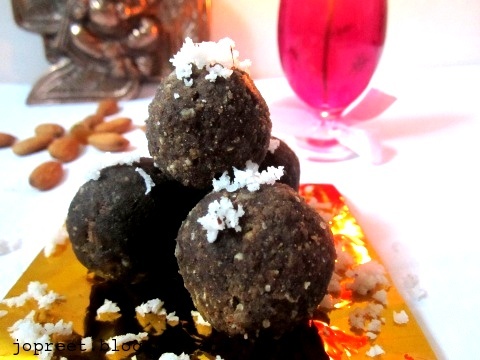 yummicious and healthy ladoos!addition of badam milk powder will certainly make it more flavoured.. 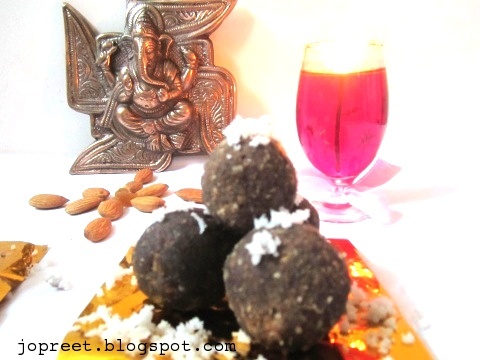 Very healthy and delicious Ladoos Preethi!